Vision by Amel (Las Vegas) - Book Appointment Online! The office of Dr. Amel Youssef provides complete eye care services, fashion forward eyewear and contact lenses for both adults and children. Our comprehensive eye examinations check for potential ocular disorders and disease as well as providing you the best vision correction possible. 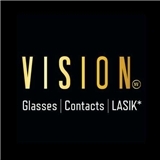 We offer the latest examination and treatment procedures to attend to all your eye care needs. Dr. Youssef also provides pre and post-operative care for many surgical services such as LASIK and cataract surgery. We co-manage these procedures with prominent local eye surgeons in the area. Amazing Dr. The best I ever worked with.